UPDATED: Thu., May 31, 2018, 4:27 p.m.
WASHINGTON – The sight of Evgeny Kuznetsov clutching his left arm and leaving the ice after a hit from Brayden McNabb isn’t as big a threat to the Washington Capitals’ title hopes as it might seem. It didn’t look good for Kuznetsov when he went down the tunnel in the first period Wednesday night and didn’t return. But Ovechkin scored his first career Stanley Cup Final goal on the power play, and Lars Eller, bumped up the lineup to fill in for Kuznetsov, had a goal and two assists. No one player can make up for the potential loss of Kuznetsov, who has 11 goals and 14 assists in 21 playoff games, though Washington’s depth down the middle looks solid with Backstrom, Eller, Jay Beagle and, if need be, Chandler Stephenson. Eller played a key role in two big victories against Tampa Bay in the Eastern Conference final without Backstrom, and will again be one of the most important players on the ice if Kuznetsov isn’t healthy. 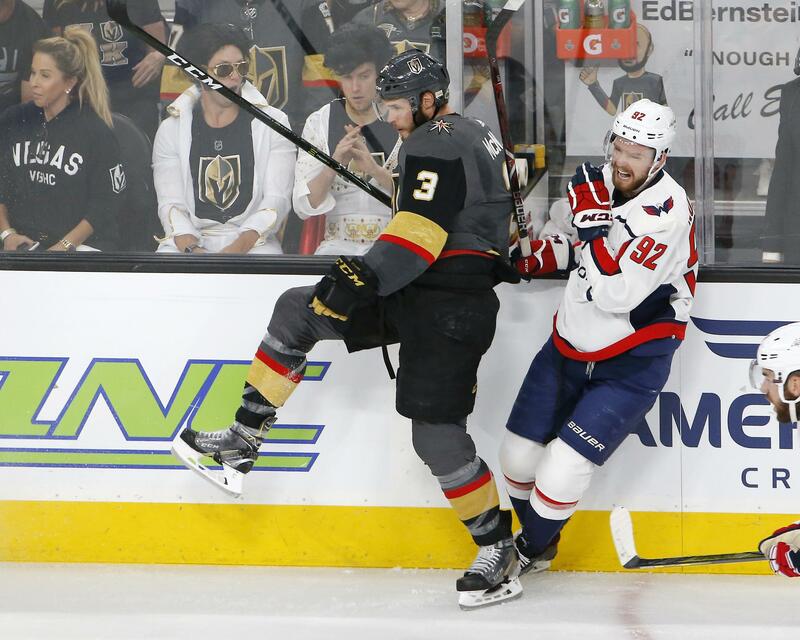 It’s the kind of production Vegas is looking for from its top line of Jonathan Marchessault, William Karlsson and Reilly Smith. Going on the road means coach Gerard Gallant can’t pick matchups, so he’s counting on his best players to play like it. Published: May 31, 2018, 2:49 p.m. Updated: May 31, 2018, 4:27 p.m.